I have started planning a new film project. The goals is to make my first feature length film! I is a massive undertaking, and will require many collaborations both in front of and behind the camera. My goal is to combine my filmmaking with my prop and costume making to create a fantastic journey into the unknown. The film is inspired by the writings of Kafka and Lovecraft, and films like Spirited Away, Alien and Labyrinth. A journey that takes us to mysterious places where we meet odd creaturs. 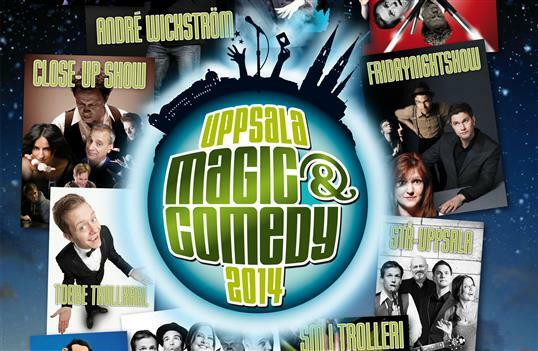 I have been making all the graphic design for the annual festival Uppsala Magic & Comedy since 2014. A very nice job assignment, indeed! From the 2012 photoshoot with the band Psychopunch. My second time working with them. 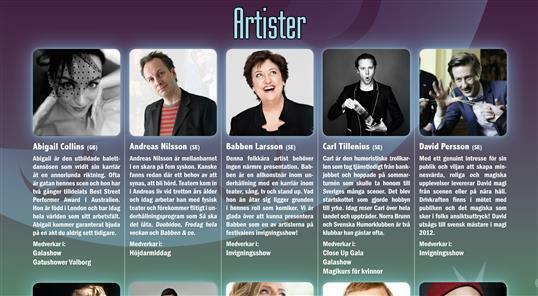 I was hired to make graphic design for Uppsala Magic & Comedy. A magic and comedy festival in Uppsala, Sweden. Except the logo that was made before I was hired, I have made basicly all graphic design including all posters, flyers, trailer video and designing the website. A series of pictures that tells the story of hidden treasures and deception. Check them out in the theme section!